The sky threatened rain this morning, or rather promised it, and the wind covered the grass underneath the plum trees with rose petals. It all sounds lovely and romantic, with a scented carpet of yellow and pink. 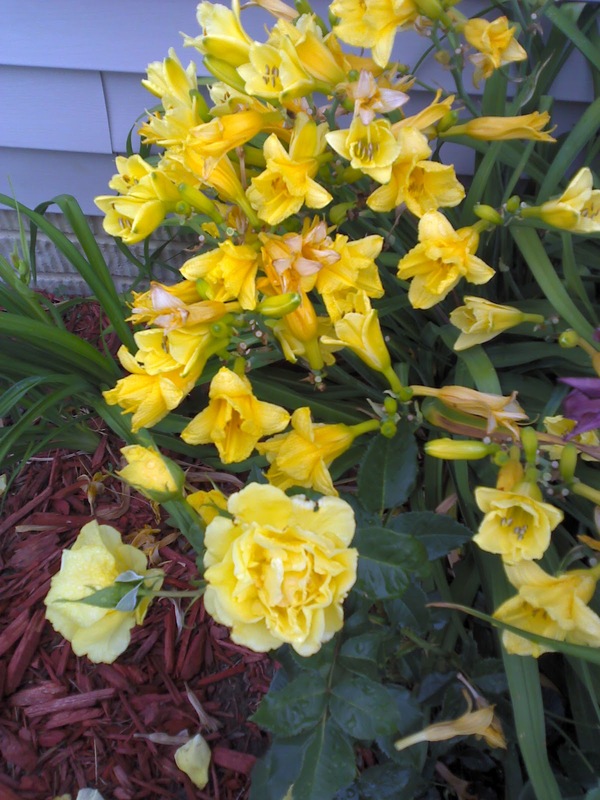 From the road, it looks as if the yellow rosebush fairly exploded with color, spilling sunshine. A closer inspection, however, reveals leaves spotted with holes and blooms past their prime. My rosebushes needed a haircut before the approaching rain left them looking like street beggars in faded rags once vibrant. Accordingly, I put the dog out on her chain for her morning sniff and forage and gathered my clippers from the tool chest. Much to the consternation of Emily Post or the mothers of random southern debutantes or whoever really cares about such things, I padded around to the flower garden in my pajamas to gather spent blooms and attempt to tidy up my rather messy garden. I know little about gardening, from the perspective of either aesthetics or horticulture. The first year in our new home, the day lilies timidly hugged the side of the garage, leaving plenty of space for rosebushes and a small, unassuming black-eyed Susan plant. But the day lilies have now thrown away any pretense at timidity, flinging their skinny green arms wide and boldly claiming new territory. From a distance I fail to distinguish the yellow lilies from the roses they overshadow. Not content with their own debauchery, the lilies have corrupted the black-eyed Susans and they, too, have wilfully chosen to ignore their boundaries. Amid the rebellion of the garden stand four rose bushes: one staunchly white, one sunny yellow, one white edged in pink, and one that blooms pink and fades to lavender. The roses love sunshine and heat. When I wilt in the 90 degree weather, they burst forth in an untidy profusion of dozens of blooms. I cut a bouquet of garden flowers over the weekend, arranging them in a vase on the dining room table. Away from the blue sky and fresh air, however, the blooms paled sadly and drooped a bit, no longer confident in the absence of sunshine. I grew up with roses on the south side of the house. 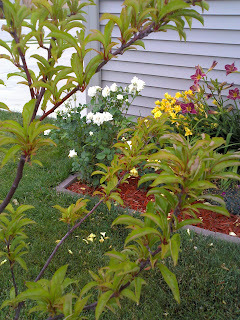 Mother tested new roses for Jackson and Perkins in those days, flowers with names like Snowfire and Yankee Doodle. I remember the white boxes arriving in the mail and scrawny bushes soaking in the bathtub before Mother planted them in her garden alongside the driveway. She planted hybrid teas, mostly, elegant flowers that would never explode willy-nilly in quite the way mine do. Roses like the ones in my childhood memories belong in orderly gardens, well spaced and well tended. My roses have neither the beauty of the hybrid teas, nor the freedom of the day lilies. Their blooms lack polish and proper balance. They fail to present as well in a vase as they do out in the sunshine. At the same time, try as they will, they cannot reach thorny branches as wide as they would like. 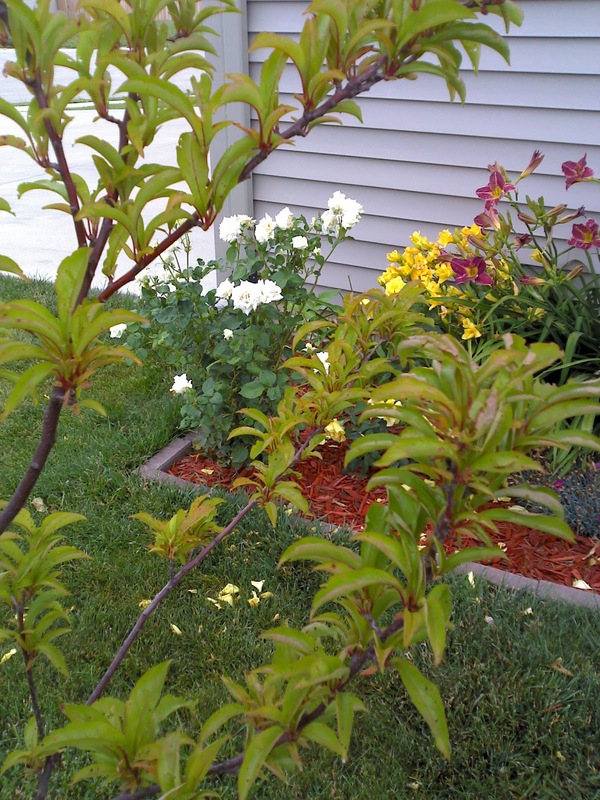 I trim the bushes a little each time I cut a drooping bloom, and I cut them back to almost nothing in the winter, leaving naked stumps to weather out the frost and snow. I have been thinking lately about gardens, about living somewhere in the netherzone between elegance and freedom. 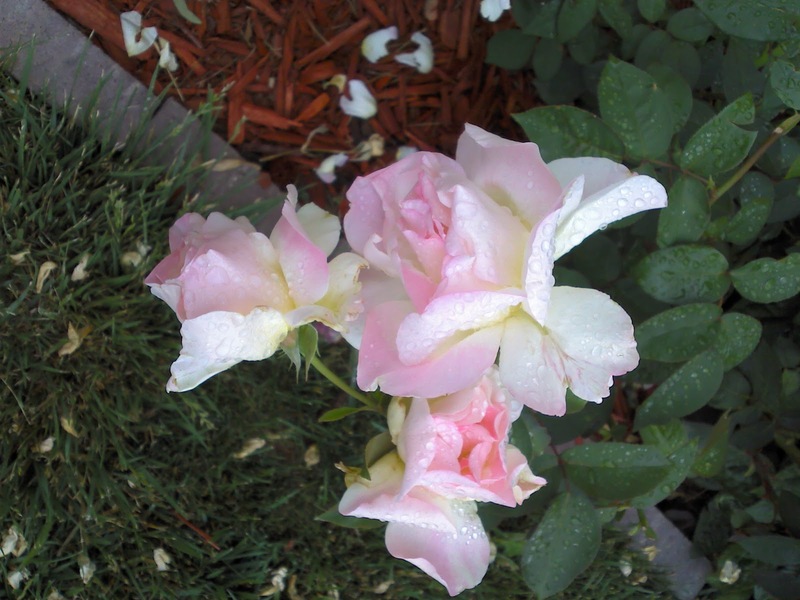 I remember a few hybrid tea days, when my resume brimmed with promise. But the days I miss are the lily days, those years when I flung my arms wide and thoroughly enjoyed life. I traveled. I explored intellectual landscapes and watched the world open up before me. I recognized only those boundaries I chose to accept. I no longer feel the freedom of the lily days. The modesty of my bank account, combined with the responsibilities that tend to accompany middle age, keep that kind of freedom tantalizingly out of range. Cornfields out my kitchen window lack the breathtaking quality of Alaskan summers or the wonder of a full moon through the steam of a geyser. And yet, maybe the simple lilies still have lessons to teach me. They create free space between the garage and the bricks, ignoring artificial boundaries, thriving in the heat and soaking up the rain. They even handle the occasional frost, cheerfully rebounding with blossom after blossom. I think maybe I can find some lily days again. I just have to remember how to stretch my arms and twirl.